12th April 2018: A mega infrastructure is considered successful only when the citizen of the world benefits at large. The architectural design and engineering marvel of mega infrastructure is not only thought-provoking but also a visionary effort of a nation’s progress. There are hundreds of airports all over the world. However, only a few have really been designed and being operated to facilitate every little comfort to flyers of the world. The UK-based consultancy firm Skytrax runs airline and airport review, and ranking site. The firm conducts regular survey from international travelers and conducts extensive research for commercial airlines. Skytrax collects data regarding several elements of air travel, like ratings of cabin staff, airlines, airports, in-flight entertainment, airline lounges and onboard catering. Passengers are encouraged to provide insights and express their opinions about an airline in Skytrax’s Airline Forum. Skytrax holds an annual World Airline Awards and World Airport Awards, ranking airlines and airports of the world based on data collected every year. The Top 10 Airports of the World for the year 2017 – 2018 were announced by Skytrax based on the yearly World Airport Survey. Cutting-edge infrastructure, waiting queues at departure, state-of-the-art facilities and entertainment options for a better consumer experiences are taken into consideration to decide the winner of the prestigious ‘Passengers Choice Awards’ in the airport industry. 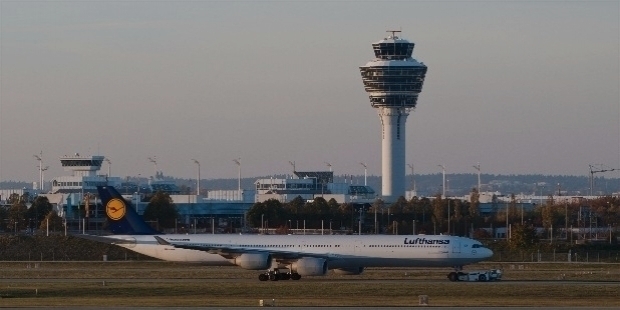 Frankfurt Airport is a major international airport in Germany’s leading financial center of Frankfurt. The airport is operated by Fraport. It serves as the main hub for Lufthansa including Lufthansa CityLine and Lufthansa Cargo, as well as Condor and AeroLogic. Spread across an area of 2,300 hectares of land, it features two passenger terminals, four runways and extensive logistics and maintenance facilities. The airport serves an estimated capacity of 65 million passengers per year. In 2016, it was the 13th busiest airport worldwide serving 60.786 million passengers. 2017 saw 64.500 million passengers being handled by Frankfurt Airport. Frankfurt Airport serves more than 300 destinations in 5 continents, as of summer 2017. It is the only airport with the most direct routes in the world. The airport is directly connected with Europe by high-speed network of German Rail. By using Skyline, a transit system, passengers can easily change terminals at the airport. Zurich Airport is also known as Kloten Airport. 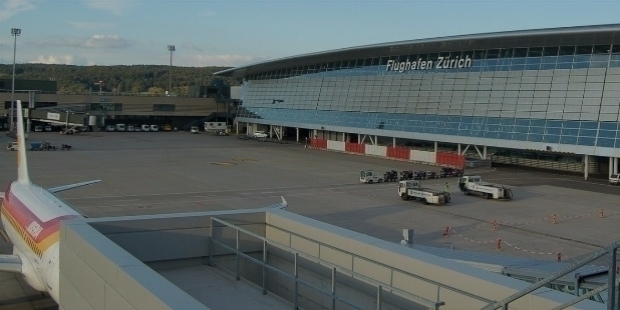 It is the largest international airport of Switzerland and the principal hub of Swiss International Air Lines. The airport is located 13 km north of Central Zürich. The airport has passenger decks, playroom for children and lounges for passengers to relax. The superb ambience of the airport takes great care for passengers’ comfort, making it special for flyers. 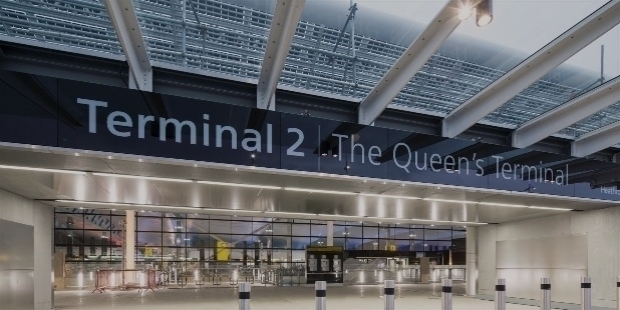 Heathrow Airport is renowned as London Heathrow. It is a major international airport of the United Kingdom. 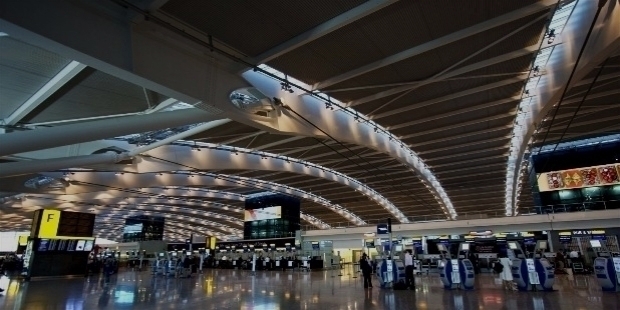 Heathrow was the second busiest airport in the world by international passenger traffic. Dubai International surpassed Heathrow Airport in 2014. It is the 7th busiest airport in the world. A record number of 78.0 million passengers were handled in 2017. The Heathrow Airport is located 23 km west of Central London. It has two parallel east-west runways and four operational terminals. Heathrow Airport Holdings owns and operates the airport. The airport is the primary hub for British Airways and the primary operating base for Virgin Atlantic. The special feature of Heathrow Airport is a multi-faith prayer room and in each terminal, one can find counselling room. Serving all the major newspapers and television stations around the world, the airport is well-equipped with its own resident press corps, consisting of six photographers and one TV crew. The name ‘Centrair’ is an abbreviation of Central Japan International Airport. 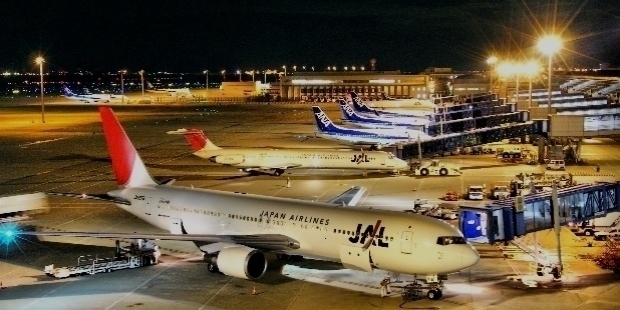 The airport is the major international gateway for the Central Region of Japan. Classified as a 1st Class airport, it serves Nagoya City, the third largest metropolitan area in Japan. The region is famous for the Headquarters and production facilities of Toyota Motor Corporation, Mitsubishi Motors and Mitsubishi Aircraft Corporation. Chubu Centrair International Airport is located on an artificial island in Ise Bay, Tokoname City in Aichi Prefecture, 35 km (22 mi) south of Nagoya in central Japan. The airport was named the World’s Best Regional Airport in 2018 for having the largest domestic traffic percentage. Munich Airport is the major international airport of Munich, serving Bavaria and the South of Germany. In terms of passenger traffic, it is the 2nd busiest airport in Germany after Frankfurt Airport. Munich Airport is the 7th busiest airport in Europe. In 2017, it handled 44.6 million passengers. The airport features flights to 266 destinations, making it the airport with the 5th most destinations worldwide. Munich Airport serves as a hub for Lufthansa, including Lufthansa Regional and its Star Alliance partners. The airport is located 28.5 km northeast of Munich and is named after Franz Josef Strauss, the former Bavarian Prime Minister. It has two passenger terminals with an additional midfield terminal, two runways, as well as extensive cargo and maintenance facilities. The airport has been awarded the title of ‘Top European Airport’ by Skytrax Institute for many years. 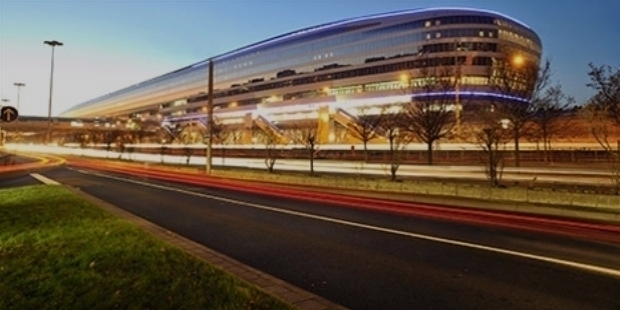 Munich Airport was honored with the ‘Five-Star Airport’ title in May 2015. The airport is fully-equipped to handle wide-body aircraft including the Airbus A380. The airport has a bicycle track running parallel to the runway, apart from an observation deck. While riding bicycle, passengers will pass the terminals, tower and various working areas of the airport. It was named the ‘Best Airport in Europe’ for 2018. Munich Airport is also home to a number of retail stores, as well as restaurants. 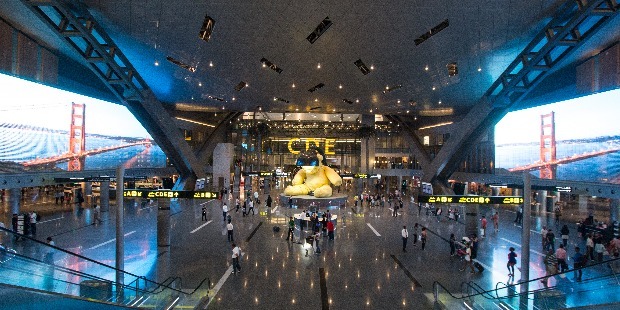 Hamad International Airport is the international airport of Qatar in its Capital City Doha. Doha International Airport was replaced by Hamad International Airport as Qatar's principal airport. The airport was opened on the 30th of April 2014. The National carrier Qatar Airways and all other carriers relocated to the new airport on the 27th of May 2014. The airport is located 5 km east of the older Doha International Airport. It is spread across an area of 2,200 hectares. 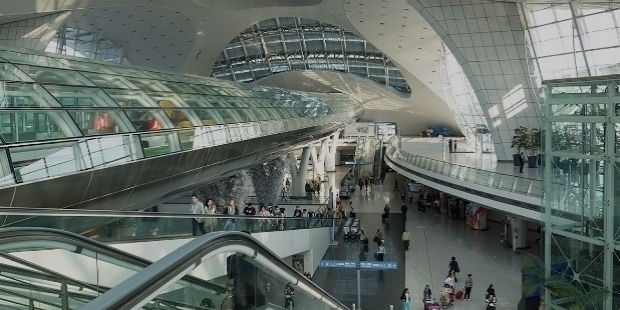 Hamad International Airport was designed to cater and handle 50 million passengers per year in near future. The airport is estimated to be two-thirds size of Doha city. Designed with an oasis theme, most of the buildings have a water motif with wave-styled roofs and desert plants growing in recycled water. 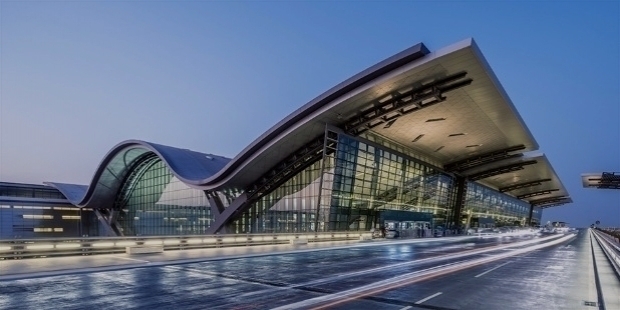 Hamad International Airport has been described as the most architecturally significant terminal complex in the world. A giant bronze statue of a teddy bear with its head in a lamp is the most prominent figure inside the airport. The Lamp Bear statue stands at 7 meters tall and weighs nearly 18 to 20 tonnes. The statue is on display in the grand foyer of the airport’s duty-free shopping hall. Hong Kong International Airport is the main airport in Hong Kong. Located on the island of Chek Lap Kok, the airport is also colloquially known as Chek Lap Kok Airport, to distinguish it from its predecessor, the now-closed Kai Tak Airport. Hong Kong International Airport is an important contributor in nation’s economy, with as many as 65,000 employees. Having handled 68.5 million passengers in 2015, it became the 8th busiest airport worldwide by passenger traffic. Airport Authority Hong Kong operates the airport. It is the primary hub for Cathay Pacific, Cathay Dragon, Hong Kong Airlines, Hong Kong Express Airways and Air Hong Kong. The airport is one of the hubs of Oneworld alliance and is one of the Asia-Pacific cargo hubs for UPS Airlines. The airport has an indoor golf club, an Aviation Discovery Centre and premium lounge services. It is also home to classic Cantonese dishes. It has been awarded the ‘Best Airport for Dining’. Tokyo International Airport is also known as the Haneda Airport. 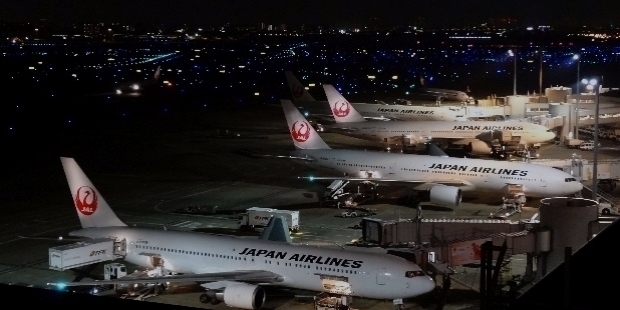 It is the primary base of Japan Airlines and All Nippon Airways, Japan’s two major domestic airlines. The airport has also been awarded the ‘World’s Best Domestic Airport’ and the ‘World’s Cleanest Airport’ this year. The airport is located in ?ta, Tokyo, 14 km south of Tokyo Station. An observation deck allows the passengers to admire the majestic view of the runway and aircraft parking bays from this rooftop haven. It also has a conference hall used for events like music concert, press conference etc. In 2017, Haneda Airport handled 84,956,964 passengers to become the 3rd busiest airport in Asia and the 4th busiest in the world, after Hartsfield–Jackson Atlanta International Airport, Beijing Capital International Airport (Asia's busiest), and Dubai International Airport. 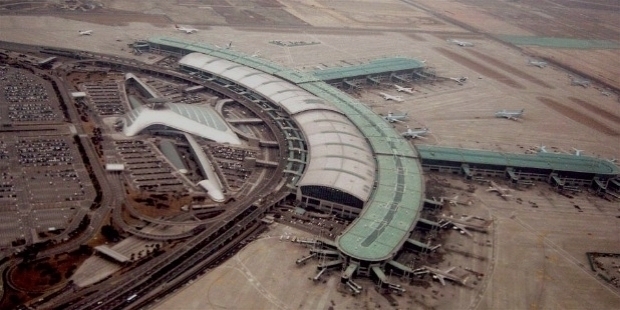 Incheon International Airport is the largest airport in South Korea. 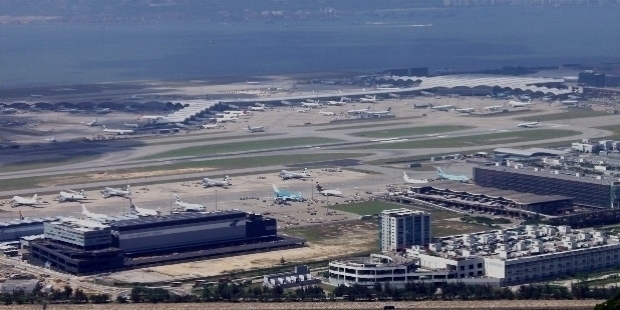 It is the primary airport serving the Seoul Capital Area. The airport is located on an artificially created piece of land between Yeongjong and Yongyu Islands, west of Incheon's city center. It is considered as one of the largest and busiest airports in the world. It has been rated the ‘Best Airport’ worldwide by Airports Council International every year, since 2005. The airport is rated as the ‘World's Cleanest Airport’ and the ‘World's Best International Transit Airport’ by Skytrax. It has an average 19 minutes departure and 12 minutes arrival time period, as compared to worldwide average of 60 minutes and 45 minutes, respectively. It is ranked among the fastest airports in the world for customs processing. The airport’s high-end facilities are second to none in the world. A golf course, spa, private sleeping rooms, an ice skating rink, a casino, indoor gardens, and a Museum of Korean Culture are ingrained in the super special infrastructure. The duty-free shopping mall has been rated the ‘World's Best’ for three years in a row in 2013 by Business Traveller. 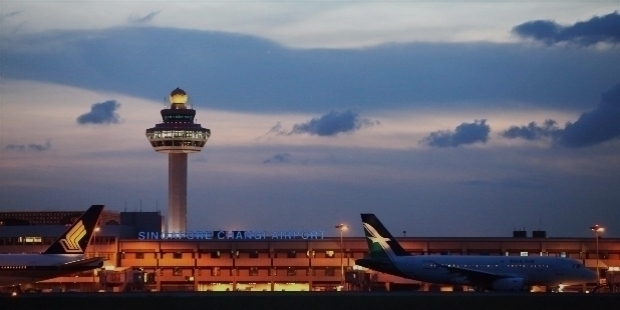 Changi Airport has won more than 557 awards, since its opening. To its credit, Singapore’s airport has maintained the Numero Uno position by winning 26 ‘Best Airport Awards’ in 2017 alone. It has been named the ‘World’s Best Airport’ by users for the 6th time in a row at the annual Skytrax World Airport Awards, held in Sweden. The airport clocked 60 million passengers from almost 100 countries around the world in 2017. Passengers of the world is in awe with Singapore’s Changi Airport for its two dozen lounges, movie theatres screening films for free, a rooftop swimming pool and a sunflower nursery with home-grown plants. The airport is every customer’s delight in true sense. The airport is also fully-automated with facial recognition technology. The world-class facilities of Changi Airport have played a major role in propelling it to maintain the Numero Uno spot in the world. 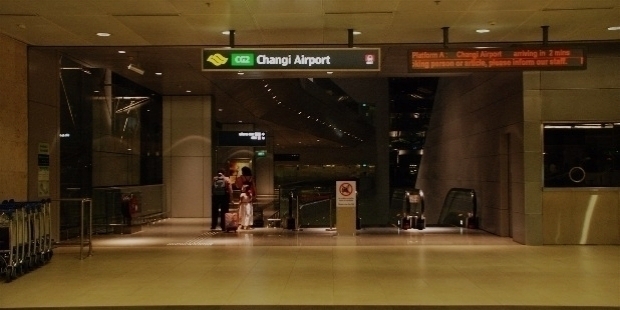 The airport is located in Changi, at the eastern end of Singapore, approximately 17.2 km northeast from Marina Bay. It is spread across an area of 13 sq km. Changi Airport Group operates and handle the airport. It is the home base of Singapore Airlines, Singapore Airlines Cargo, SilkAir, Scoot, Jetstar Asia Airways and BOC Aviation.